Apple's super-sized iPad Pro has been rumoured for so long that it felt like the device that would never arrive yet the biggest hint so far has emerged that it will be unveiled in under a week's time. 9to5Mac quotes trusted sources as telling them that Apple's September 9 event will see the arrival of not only a pair of iPhones, a revamped Apple TV box and new Apple Watch bands but also a couple of new iPads including the iPad Pro. Scheduled to hit Apple retail stores at some point in November, pre-orders for the device will get underway at the end of October and, even though sources think it could see the light of day next week, it remains a possibility that it's held back for a separate event at the end of October. Details on the spec have been rather thin on the ground, although most are in agreement that it will have a 12.9-inch screen that will be geared towards enterprises and designed to take on the Microsoft Surface Pro 4. Further to that it will pack a nippier Apple A9 processor compared to previous iPads and could even come with the new USB Type-C port that first saw the light of day on the revolutionary Apple MacBook earlier this year. All eyes will now be on the press event next week to see whether the iPad Pro ends up being released otherwise the wait goes on. 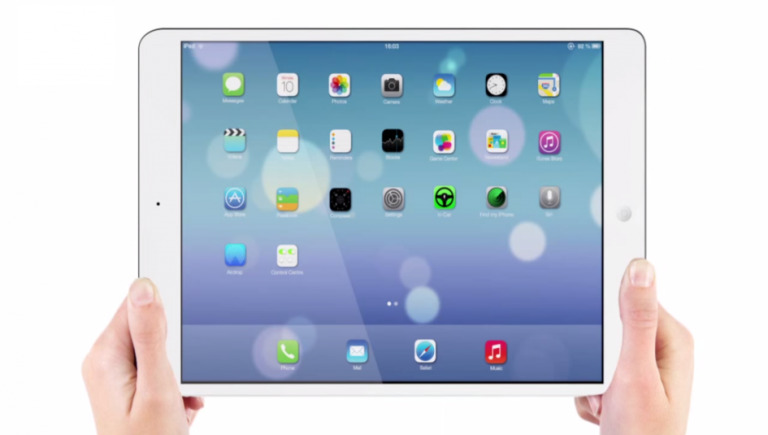 Update: iPad Pro to launch early 2014?